The Paikallista ruokaa! event on local food offered networking and product tasting as well as the chance to get to know the activities of different businesses. Organised on 21 March 2014 along with Gastro Helsinki, the event for food industry professionals took place in the Winter Garden room of Messukeskus Helsinki, Expo and Convention Centre. 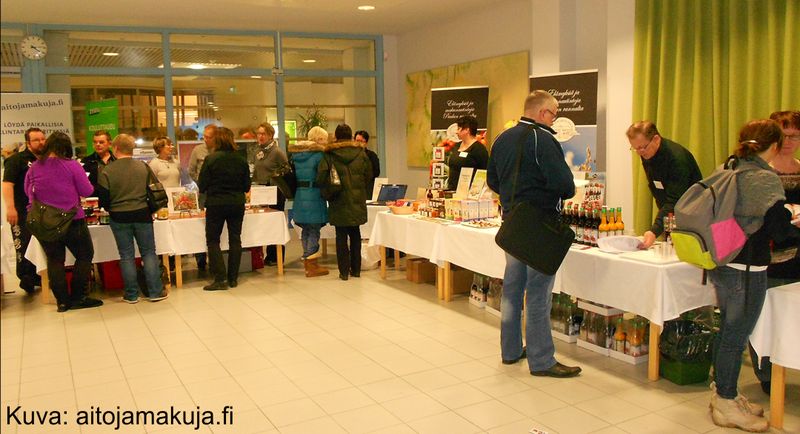 Purchasing agents had the opportunity to get acquainted with and taste the products of local businesses from all around Finland: there were 21 businesses and just under 100 purchasing agents attending. Paikallista ruokaa! 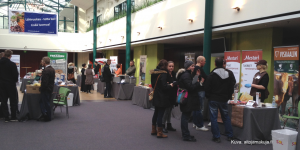 was organised separately from Gastro because it was only on for a short time, but as it was taking place at the same time during Gastro, it was possible for visitors to go to both events. 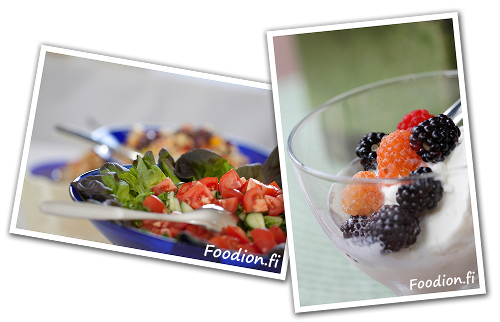 The event was jointly organised by the True Flavours II project, the Local Food Programme and the Food Finland network on Finnish food. There could have been more purchasing agents at the event. The businesses had really put effort into their display tables and brought their products for tasting. The business owners were grateful that it was easy to get to the venue, as the supplies and equipment were all set up and they only had to bring themselves and their products. Additionally, they were grateful that it was only happening for a limited time and was consequently a compact event. On the whole, the feedback from the business owners was quite positive and many of them stated that they would come to a similar event again, and that it is good that such forums get organised. The business owners also found it good that they had an opportunity to get to know the products of other businesses and, at the same time, do some networking. Nothing can ever turn out perfect the first time, and so some of the venue’s organisational issues could stand some improvement. Some of the products could have used heating in order to do their purpose and flavours justice, but there was no possibility for this in the Winter Garden room. The fact that the event was not within Gastro Helsinki was taxing on the number of visitors because everyone had to come to Paikallista ruokaa! separately, and it was slightly challenging to find the place. It would then be important, in the future, that a similar forum would be organised within an event, even though it would somehow be given separate attention and be limited. Furthermore, special efforts would have to be made to make sure that the event would bring in just the right target audience.